One of my favorite characters on The Simpsons had to be Bleeding Gums Murphy. Not only was he the kindred spirit & jazzy mentor of little Lisa Simpson, but he also had a wicked nickname. We are never told exactly how he got his nickname but he did say this, “Well, let me put it this way…you ever been to the dentist? Not me. I suppose I should go to one, but I got enough pain in my life as it is.” Despite the need of his mouth in order to play the sax, something tells me that Bleeding Gums Murphy wasn’t too keen about oral health. If we know anything about germs, we know that they thrive off of dark, moist places so our mouths are a constant breeding ground for bacteria. And unfortunately, this bacteria can lead to gum disease. Gingivitis, or the beginning stages of gum disease can be reversed. It’s an infection that irritates the soft tissues around your teeth. Left untreated, gingivitis can lead to more serious periodontal diseases as it begins to affect the tissue and bones that support your teeth. The American Academy of Periodontology (AAP) describes periodontal (gum) disease as a natural inflammatory reaction to harmful bacteria in your mouth. The redness, swelling, bleeding and/or bad breath are all listed as symptoms but they can be reversed with, wait for it…mouthwash. Believe it or not, antimicrobial mouthwash is your leading line of defense when you realize gum disease is presenting itself in your mouth. It not only helps cure up the gingivitis, but it can also prevent bleeding gums and inflammation by eliminating the bacteria in your mouth causing the irritation. There isn’t any particular brand that works better than others, but some can protect your mouth for as long as 12 hours. That’s impressive. As long as they have the American Dental Association (ADA) Seal of Acceptance, all have their own benefits, and all will go in attacking the bacteria in your mouth with a vengeance. There are times when periodontal disease has been neglected for too long and has become more of an issue. If this is the case, your dentist may prescribe you a prescription-strength mouthwash. Its main ingredient is chlorhexidine gluconate, which not only will kills all the bacteria that promotes irritated gums but also plaque formation. 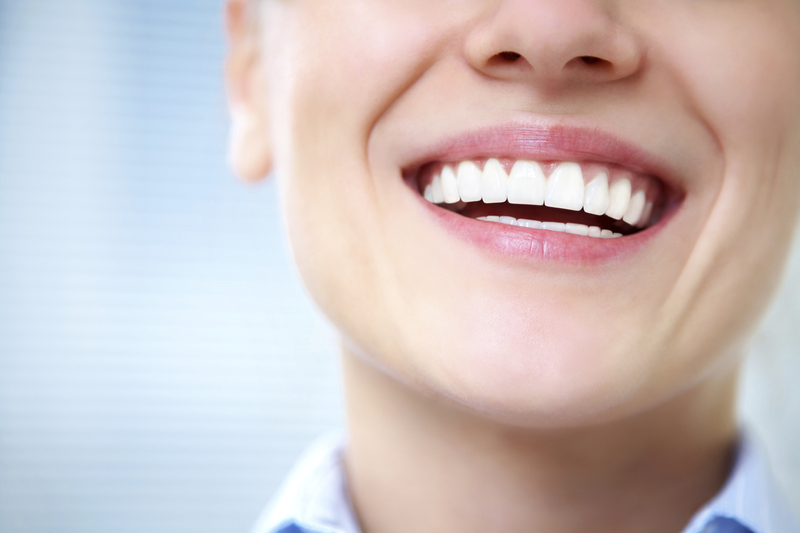 When it comes to periodontal disease, the best thing you can do is stay on top of your oral health. Make sure you brush for 2 minutes with fluoride toothpaste and floss daily, change your toothbrush every few months, and see your dentist regularly, especially when you start to feel pain in your mouth. Taking care of your teeth doesn’t take a lot of work, just some conscious effort in your daily routines. Even Bleeding Gums Murphy could have used a swish or two. For more information on mouthwash benefits, contact Dr. Rosenbuch at (561) 394-7888 or visit our website at www.cliverosenbuschdds.com.